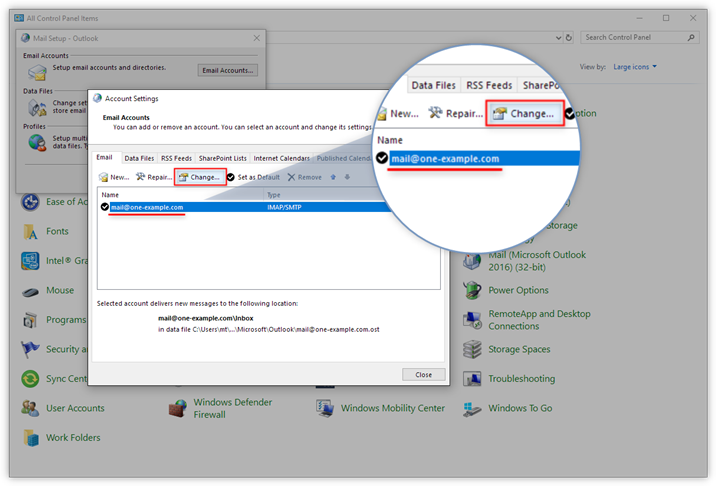 Microsoft has changed where you can view and edit the server settings of your existing email accounts in Outlook 2016. In this guide, we show you where you can find them now. 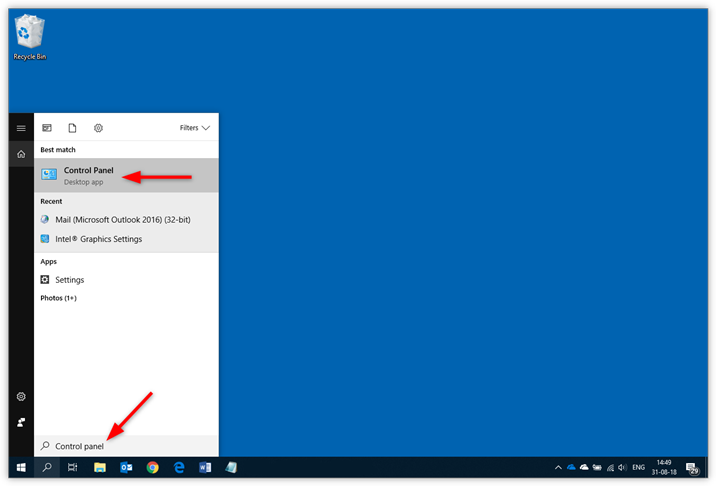 Click the search icon in the taskbar and type "Control panel". 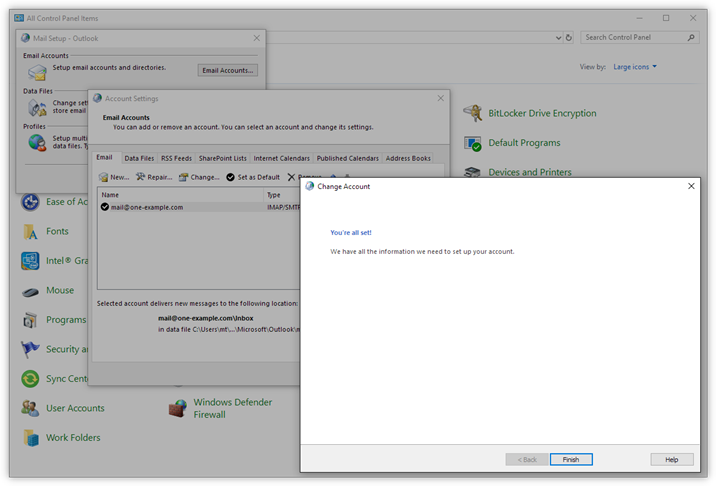 Open the Control Panel (Desktop app). Sort the Windows Control Panel by Large icons. 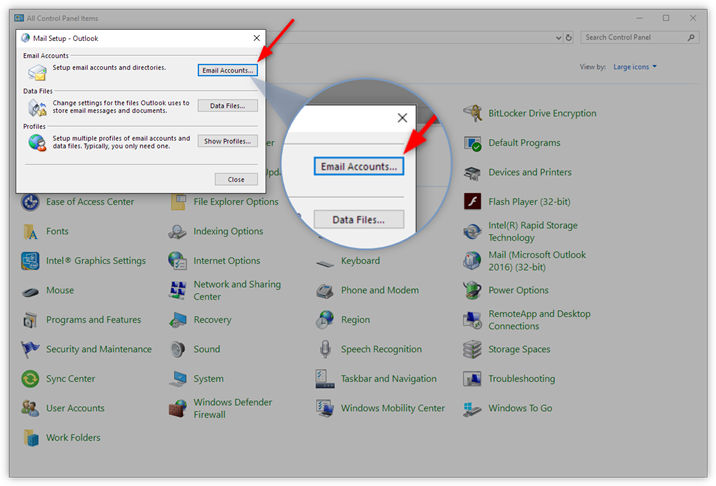 Select the email account that you want to check the settings for. Click Change in the menu right above it. Password: the one you also use for Webmail. 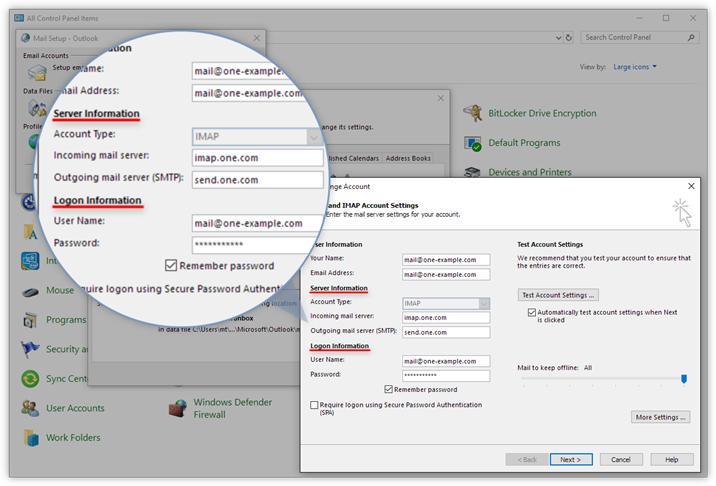 Make sure the box for "My outgoing server (SMTP) requires authentication" is checked. 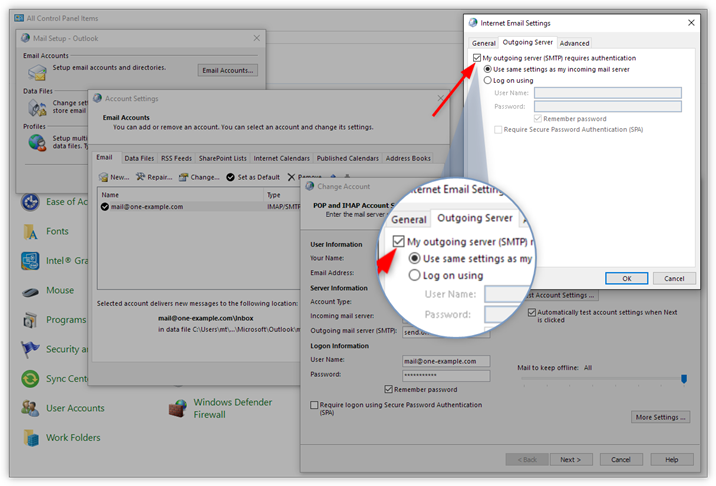 "Use same settings as my incoming mail server" needs to be selected. 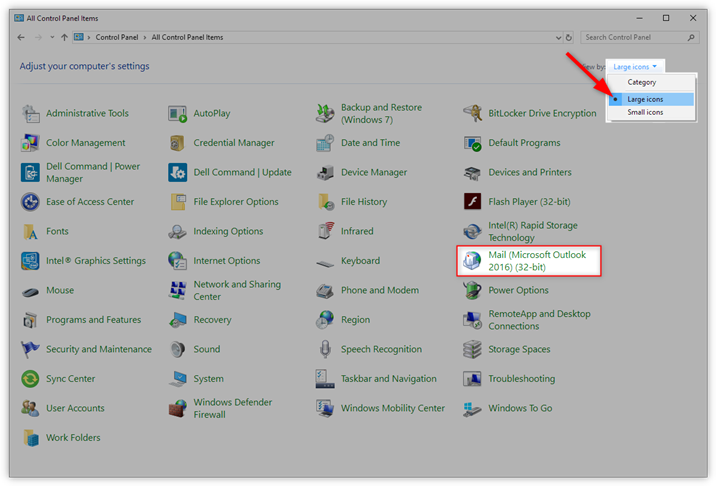 Check if you have entered INBOX (in capitals) as the Root folder path. 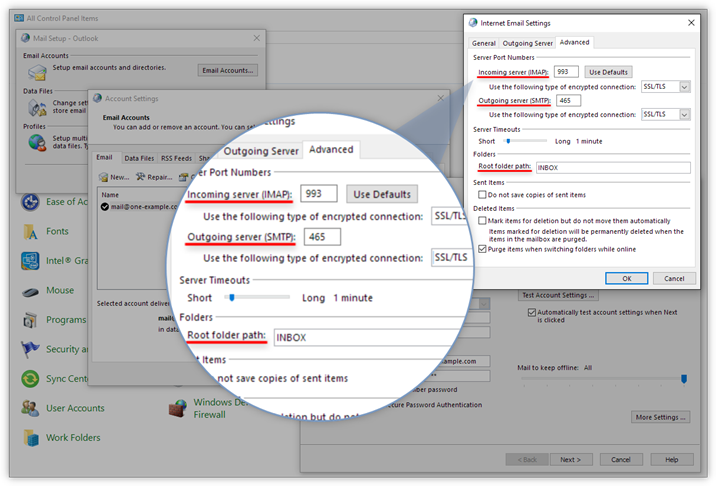 Note: If you use POP as account type, you need to use port 995 for the incoming server with SSL/TLS encryption. 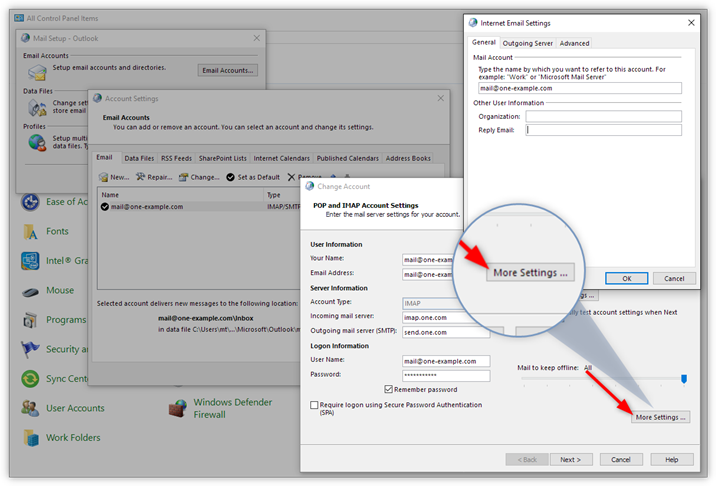 Outlook will now test the account settings. Click Close when they are completed.